A christian lives their life knowing God truly does exist and knows His Son who alone is our salvation and redeemer.On the other hand though sadly enough there are those who God is not in all their thoughts or that there are repercussions for their total disregard of a soverign God! (Psalm 10). It is when we do not repent and continue in a life of sin keeping us in darkness that will bring the day of the Lord as a thief in the night.We must be diligent in renewing our minds in the word learning the knowledge of Christ which keeps us as a shining light for all to see! 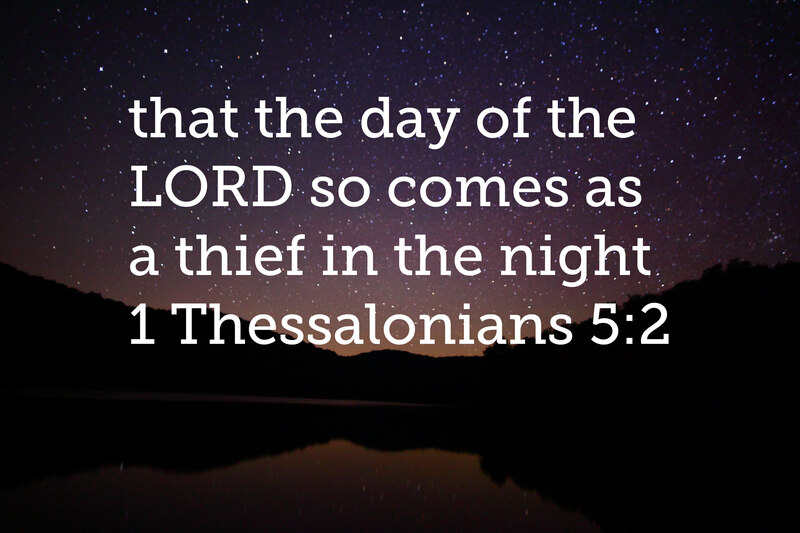 (1 Thessalonians 5:1-11). But of the times and the seasons, brethren, ye have no need that I write unto you.2 For yourselves know perfectly that the day of the Lord so cometh as a thief in the night.3 For when they shall say, Peace and safety; then sudden destruction cometh upon them, as travail upon a woman with child; and they shall not escape.4 But ye, brethren, are not in darkness, that that day should overtake you as a thief.5 Ye are all the children of light, and the children of the day: we are not of the night, nor of darkness.6 Therefore let us not sleep, as do others; but let us watch and be sober.7 For they that sleep sleep in the night; and they that be drunken are drunken in the night.8 But let us, who are of the day, be sober, putting on the breastplate of faith and love; and for an helmet, the hope of salvation.9 For God hath not appointed us to wrath, but to obtain salvation by our Lord Jesus Christ,10 Who died for us, that, whether we wake or sleep, we should live together with him.11 Wherefore comfort yourselves together, and edify one another, even as also ye do.